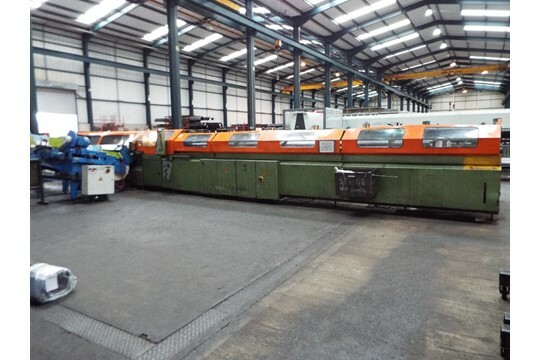 We are selling a used Bewo steel cutting centre that has only become available as a consequence of our client’s ongoing investment in it business. This cutting centre has many years profitable use left. Used for cutting steel pipes, this centre has alternative uses. Comes complete with OEM Technical Documentation Folder and comprehensive Maintenance Folder. One owner from new, maintained initially under a BEWO service contract and more lately by Bluebay Technical. Most recent service 27 March 2017. 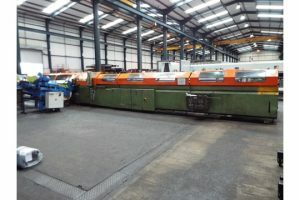 This saw centre has been used for the cutting of carbon steel pipe and tube up to 2mm gauge thickness, however 3mm cutting has been performed albeit at a slower rate. Variable speed saw setting can be performed via the interface screen, outfeed conveyor fully adjustable up to 3000mm, with a loading capacity of 7000mm. Machine has very well looked after and maintained regardless of cost as any inspection will testify. A quantity of circular saw blades will be made available as well as assistance in removing the machinery from its location. Buyer will be responsible for lifting, loading and rigging. Item is located in North West England. Nominal footprint: 13m x 4.64m. The saw (lot 23b) and outfeed conveyor (lot 23a) are being offered separately, or you could buy both (lot 23).